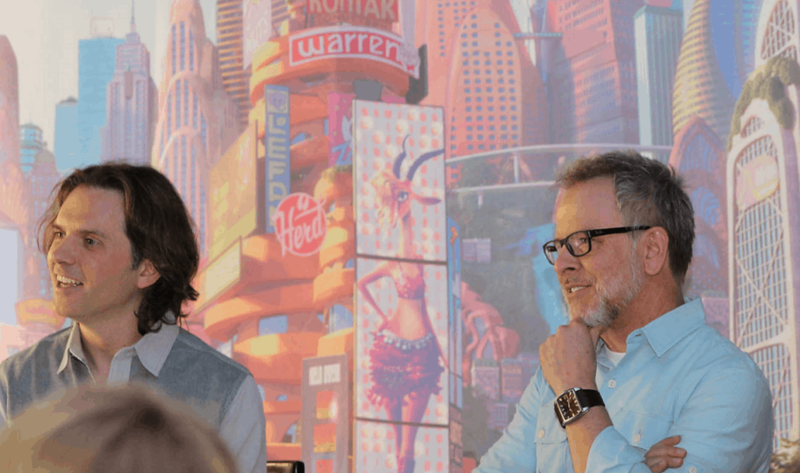 Last week, while I was in Orlando with Disney, I had the opportunity to interview Directors Byron Howard and Rich Moore from the upcoming film, Zootopia. This is absolutely one of my favorite things about the Disney trips I take — the behind the scenes look I get at the films they are releasing each year. I don’t know… there’s something very exciting about learning this information. Call me a movie buff / a film geek because I own it with pride. 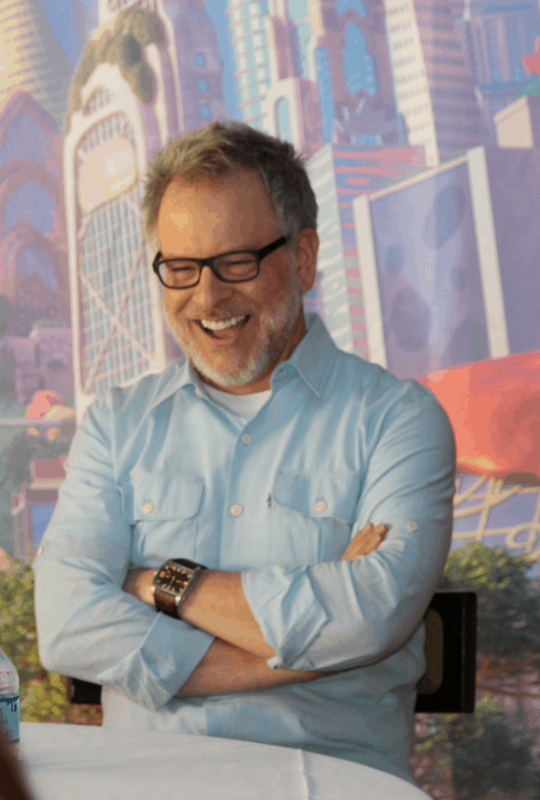 If you are looking forward to seeing Zootopia with the family, you will be happy to hear some of the secrets from the set (eerrrr, the animation screen). When we first pitched these movies to John, his suggestion is not to put all your eggs in one basket. Not to just pitch one idea. ‘Cause I think he wants to find out who you are as a filmmaker. So, he wants to find out what you’re passionate about. And, so, most filmmakers, I think like Rich or Jin Lee, will kinda come in with like three, four, five ideas. 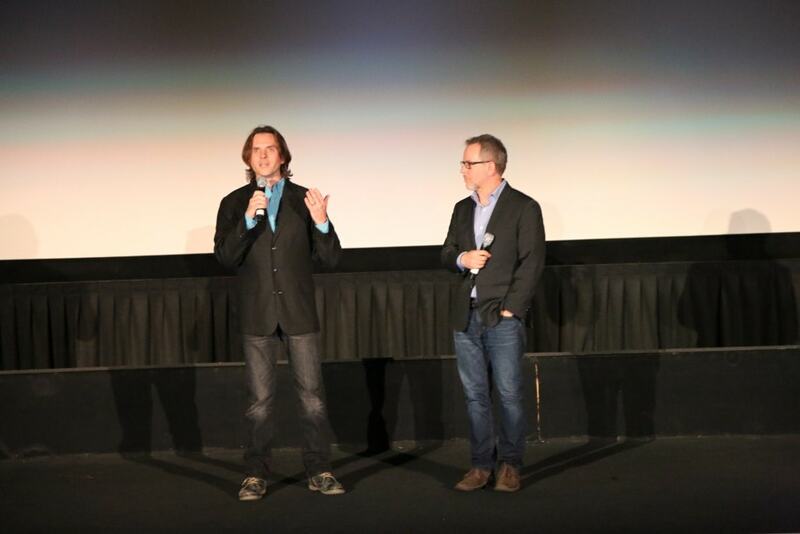 So, Nathan Greno and I, right after we finished Tango, we pitched the beginnings of what this movie became. And we had about six ideas and the one thing that almost all these ideas had in common — one was a space movie. It was called Pug, The Bounty Hunter, that had a space rabbit. Rabbit in a space suit. One was called The Island Of Dr. Meow. Which was a sort of cheesy B movie version — like a Roger Korman film, if you know what those are, from the 1960s. Where there kind of teenagers went to this island and there was this six-foot tall cat that was turning these people into animals. Then John saw that the — a lot of these films anthropomorphic animals in common from what I did with the others. And he said, I will do anything to support a film that features animals running in tiny clothing. Beause he loved the idea of doing this. And he got so excited, he hugged me and he picked me up off the ground like they described. And he held me in the air. I think because we hadn’t done one of these films in a long time. We have a great legacy of these films. You know, when — Robin Hood was one of my favorites. His favorite was Wind In The Willows. Rich grew up on Jungle Book. So, we all had this sort of love of these films. And we hadn’t really done one – especially not in CG where we could not graph these animals and, uh, with a great Disney character design… the way they look in nature. It’s the first time we’ve had the technology and just the computer power to actually groom them as they are in the wild. You know, in the past, a character was groomed with something that was just kind of like human hair. To pull off the scene where Bull in “Boat” is sticking his head out of the car window and the wind is blowing in his face. And it’s a big emotional scene in the movie and they couldn’t do it because the technology just didn’t know how to show fur being affected by- by wind. So, it’s almost a didn’t exist. But if you look at Zootopia, it’s a very touchy movie. We touch each other each — the characters touch and interact with each other a lot. And they have fur and they have cloth. And they have fur on top of cloth. Don’t you just love the fact that John Lasseter believed that the Zootopia team should experience Africa first hand? I LOVE THIS TO PIECES. And I’m not talking a select few. I’m talking a dozen people or so! We stopped here (Animal Kingdom) first. 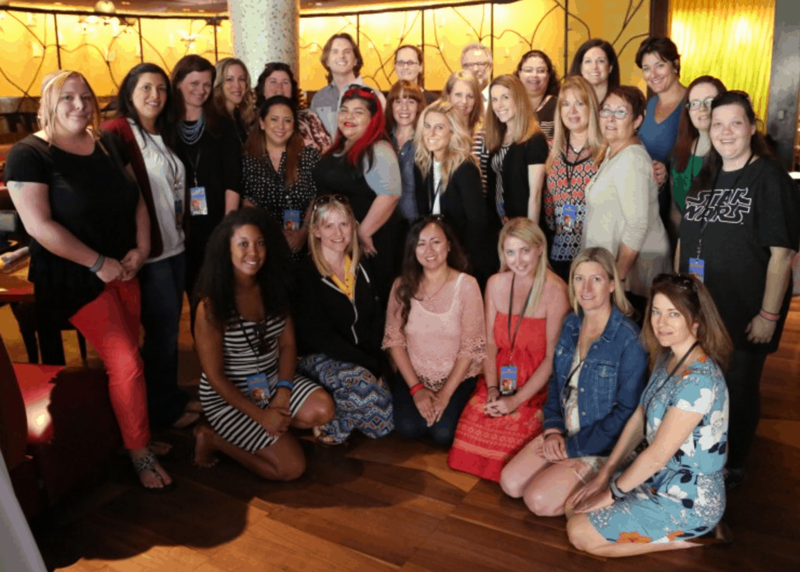 We went back to LA and told John Lasseter about our findings here. And he said, that’s amazing. But the next step you guys gotta do is actually go to real Africa and, you know — and we’re like, Africa? And he’s like, Africa. And he sent us. Yeah, they had to import the churros. Um, but, no, and then Africa was a life changing experience for us all. I think all of us came back honestly changed. We’ve been a lot of — we’re very fortunate with these jobs because they send us on terrific places all over Asia and Europe and South America. But Africa for me, I had never been any place that kinda changed you down to your core. You’re stepping into an environment that has been the same for 40,000 years. I’d only been to zoos where I’d seen like two zebra at a time. And then just, you know, 30 feet away from us were 200 zebra. Or 50,000 wildebeest. 100,000 wildebeest. Being as close to lions as we are to you guys in the front row and just to see nature, like full on nature right there…it really made us feel like, okay, if we’re gonna do this movie, we’re gonna do it right. We came home just full of all this information and this great passion for what we’re gonna create with Zootopia. And I think that’s why the crew dug in so much. We geeked out on the — all this stuff. And it came across in the film because all our crew cared so much. Make sure you mark your calendar for March 4th! 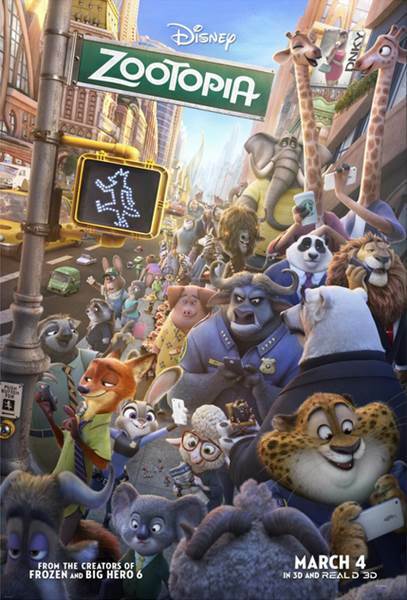 Zootopia hits theatres and the entire family will enjoy this movie from start to finish. 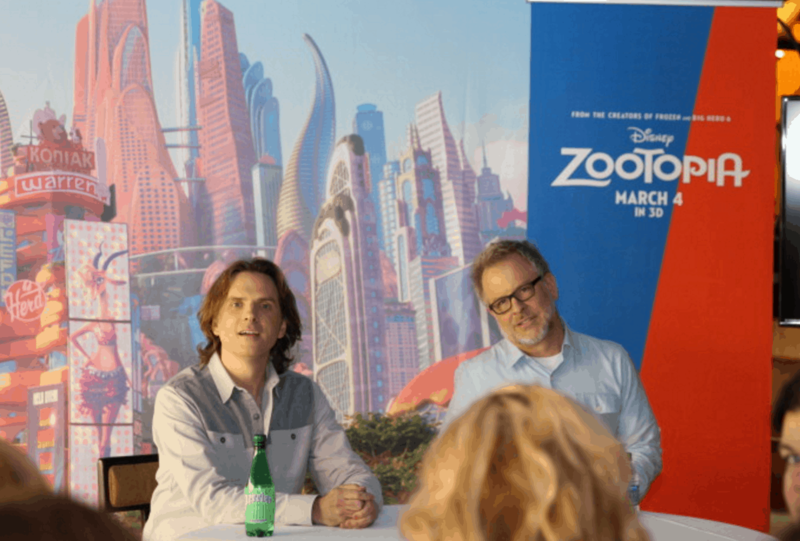 Disney invited me attend the press junket for Zootopia. All opinions are my own.